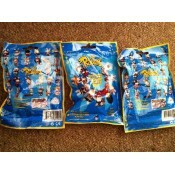 RAYMAN RAVING RABBIDS: 3 Randomly selected packs. All 3 figures are NEW.. 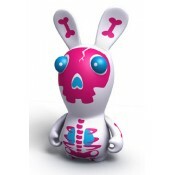 Raving Rabbids Travel in Time PVC Figure Skeleton white 10 cm From the ´Raving Rabbids: Trave.. 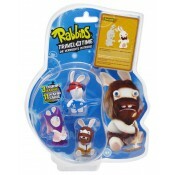 Raving Rabbids Travel in Time Trading Figure 3-Pack B 5 cm From the video game ´Raving Rabbid.. 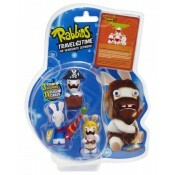 Raving Rabbids Travel in Time Trading Figure 3-Pack C 5 cm From the video game ´Raving Rabbid..
Rayman Raving Rabbids PVC Figure 90 Percent Bunny Limited Edition 10 cm From the amazing ´Ray..
Rayman Raving Rabbids PVC Figure Barcode Bunny Limited Edition 10 cm From the amaz.. Raving Rabbids Travel in Time PVC Figure Skeleton black 10 cm From the ´Raving Rabbids: Trave..